The 2019-20 tuition proposal uses what President Michael Crow calls a “tiered tuition proposal” that replaces the thousands of various degree and course-specific fees with four fee categories. In addition to the new system of fees, the University plans to extend its cap on tuition increases to ensure predictability for students. “The first problem we are trying to solve for is predictability,” Crow said in a meeting with the State Press on Monday. “We said seven years ago that tuition wouldn’t go up by more than three percent for in-state students for seven years, and in those seven years it has gone up on average 1.7 percent, which is at or below the inflation rates averaged over that same time frame. “Our proposal now is extending that commitment for 10 additional years. We are are basically saying that we are coming up with an additional 10 years, so 17 total years,” he said. Pending approval of the proposal by the Arizona Board of Regents when it meets in April, base tuition for undergraduate resident students will increase by 2.8 percent, to $10,710. Base non-resident undergraduate tuition will increase 4.8 percent, to $28,800, while base international undergraduate tuition will increase by 5.3 percent, to $31,200. The 10 percent discount for base tuition at the Polytechnic and West campuses will remain, according to a University official's description of the proposal. Graduate students, who will not feel the effects of the fee consolidation, will see base tuition rates of $11,730, $31,400 and $33,600 for resident, non-resident and international students, respectively. The fee consolidation is aimed at trying to simplify the process for students, and includes spreading the existing fees across each of the four categories. “The net result of that is that we end up at the lowest cost basis of any institution in the state, which we already are, but even more dramatically,” Crow said. The new regimen consolidates class fees, technology fees and surcharges into the base tuition, while program fees go into one of four simplified categories and the mandatory student driven fees goes into another category. The four program fee categories break down the various schools into fee buckets ranging from $0 for colleges like the Teachers College and the humanities programs in the New College for Interdisciplinary Arts and Sciences, to $1,050 for the College of Liberal Arts and Sciences and the Walter Cronkite School of Journalism and Mass Communication. The same concept with higher price tags applies for non-resident undergraduates and international students. The new structure replaces the approximately 150 program fees and 6,000 course fees at ASU that impacted 92 percent of Undergraduates, according to Crow. In-state, out-of-state and international students will still pay different base tuition, but students at Poly and West campuses will pay 10 percent less than students at Tempe and Downtown. Students will still pay for programming and recreation fees under "student-initiated fees" for programs brought by Undergraduate Student Government, not by the University. The student-initiated fee category will, however, include the "Financial Aid Trust Fee" which is mandated by the state of Arizona, not students. The new program does not apply to graduate students, who will continue paying an academic support fee, and fees for their specialized programs. There are four exceptions to the fee: the Barrett honors fee, aviation fees, a fee for the post-baccalaureate bachelor's of science in nursing, and for students in a W. P. Carey collaboration with Draper University. The high cost and relatively small student enrollment in these programs makes it unfair for the University to spread the costs across the board, an ASU spokesperson said. Not everyone will pay less under the new plan. But Crow said that increase would be offset using financial aid to get the net cost of attendance increase below the 3 percent threshold. Crow said that despite the increases for some students and overall tuition increase, ASU remains the lowest cost universities in Arizona. “Even with the proposed increase, even with these fee structures. We end up as the lowest cost option in the state of Arizona by a long shot,” he said. Correction: Due to a source error, a previous version of this story incorrectly stated the percent tuition increase for some students. This story has been updated with correct figures. 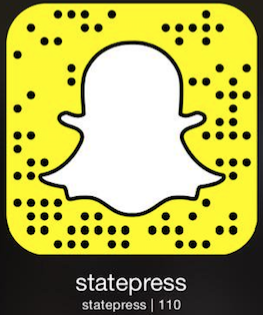 Reach the reporters at isaac.windes@asu.edu and bpietsch@asu.edu or follow @isaacdwindes an @Bryan_pietsch on Twitter.